Like most Midwestern states, Ohio has a diverse climate. Cold winters with short days are offset by temperate summers where the days are much longer. On average, the buckeye state receives a good amount of sunlight, and it has the potential for solar energy installations throughout the region. Combined with its already strong wind and biomass initiatives, plus the abundance of rivers that make it a great source of hydroelectric energy, Ohio could supplement these sources with a strong solar component and go completely green. 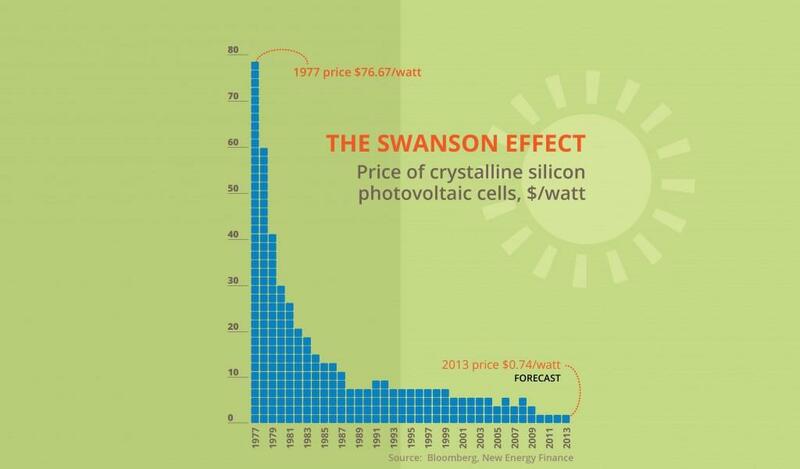 There is solid state support to for the amount of solar installing sot increase over the course of the next decade. There is already top-notch net metering and interconnection standards in place, as well as rare a sales tax exemption on the purchase of photovoltaic cells (solar panels). The graph shows that Ohio has the typical high cost-high return of buying the system outright. You’ll spend a lot up front, but you’ll own the system from then on and all the savings will go into your pocket. Buying with a HELOC loan is about standard as well. 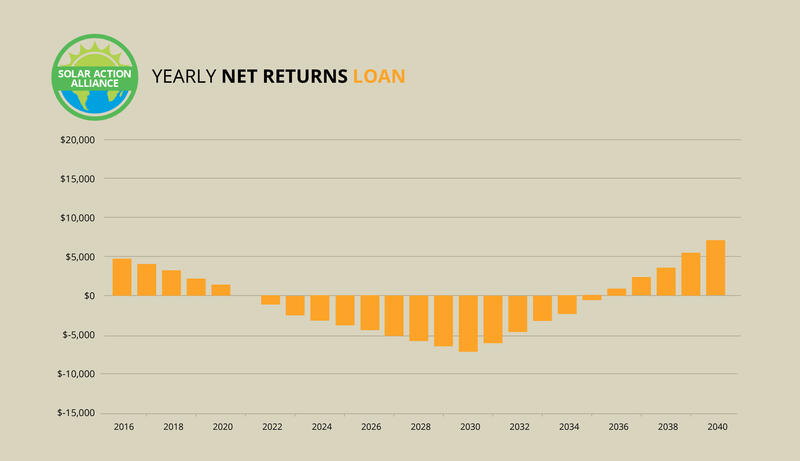 The low-to-zero initial cost is more feasible for most consumers, but it means loan payments. Fortunately, these loan payments are offset by savings on electricity. Ohio’s leasing capabilities appear stronger than most states, particularly with their net metering standards adding extra income from utility companies paying back energy added to the grid. A 5-kilowatt system in Ohio is a bit cheaper than other states, and with the tax breaks offered by the federal government, it is one of the more affordable buying states among the north. A system that costs about $18,500 would come down to $13,000 after the 30% federal rebate. Considering the 5.75% sales tax exemption, which would be another $1,063 off, and the first-year electricity savings of around $700, you’re looking at a much lower upfront cost of a little over $11,000. Based on the expected rise of electricity prices, the savings should increase a bit annually, which means the amount of time it takes for the system to pay for itself would be around 15 years. 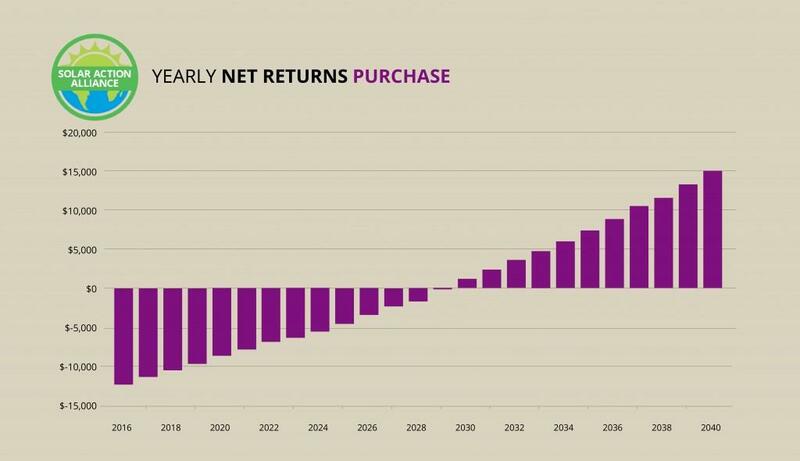 That leaves the remaining 10 years of the machine’s life cycle to accumulate returns, which can be over $10,000, all told. A home equity line-of-credit, or HELOC, is a solid choice for those with home equity who are short on the upfront costs or would rather pay back the amount in increments. The loan option carries much less risk than the buying option, but with a lesser return. Assume the cost of the system is the same as before, $18,500, and that amount is the total loan. The 30% Federal tax credit still applies, and the electricity savings are presumably the same. For the first 16-18 years, you’ll see the electricity savings chipping into the loan payments, which add up to around $1,000 per year after the expected $700 in savings comes back. After that, the returns are in your pocket, and you should see about half the return from buying, which can add up to $5-7,000. 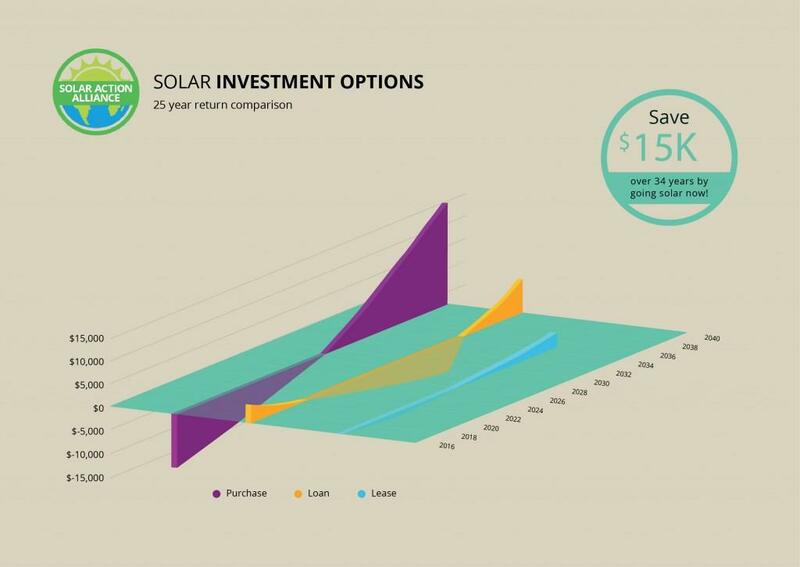 Leasing in Ohio is a good way to acquire the green energy of solar without paying anything out of your own pocket. With a lease, you allow a third-party company to install panels on your roof, and you reap the benefits of the extra wattage they generate. While these numbers are small, the intent of leasing isn’t really to make money, but to lower greenhouse gas emissions and help preserve the natural environment. 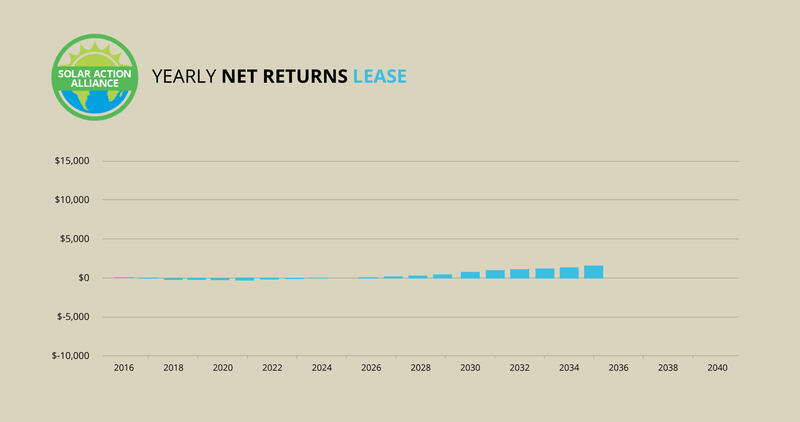 At the end of a 25-year leasing cycle you’ll be rewarded with less than $1,000, but you will have had a tremendous positive impact on your local ecosystem. Since the solar panel system installed on your roof belongs to someone else, you also have no responsibility when it comes to maintenance, which makes leasing the zero-down, no risk solution for solar energy. 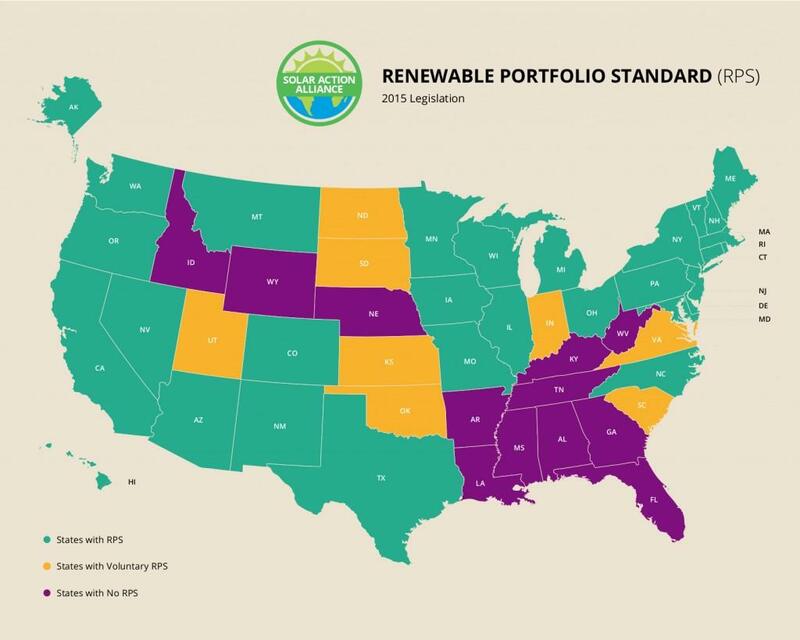 Ohio has a less aggressive Renewable Portfolio Standard (RPS) than about half of other states, placing them 27th in the nation. In Ohio’s RPS, utilities are mandated to derive 12.5% of their energy from renewable resources by 2026. While the percentage is solid, the state government would make the term short, say 2017, so the utility companies have more incentive to make more dramatic changes quickly. With a policy that gives them twelve years, it may be a while before consumers see real changes. Of these required resources, only 0.5% of them need to be solar panels, so it is particularly lenient in terms of solar policy. Still, a weak RPS is better than no RPS. Ohio is one of the more equitable states in the northern half of the country. Despite its geographic location and potential for wind and hydroelectric energy, the state government is still placing the right amount of emphasis on solar power. The net metering, interconnection, sales and property tax exemptions are all good signs, plus the availability of leasing options is a solid foundation. The Solar Renewable Energy Credits (SRECs), funds credited to the panel owner for contributing kilowatts to the grid, are another reason to go solar in Ohio. While RPS and solar carve-outs in place are both on the passive side, they at least show the local government is willing to get involved with promoting solar energy. 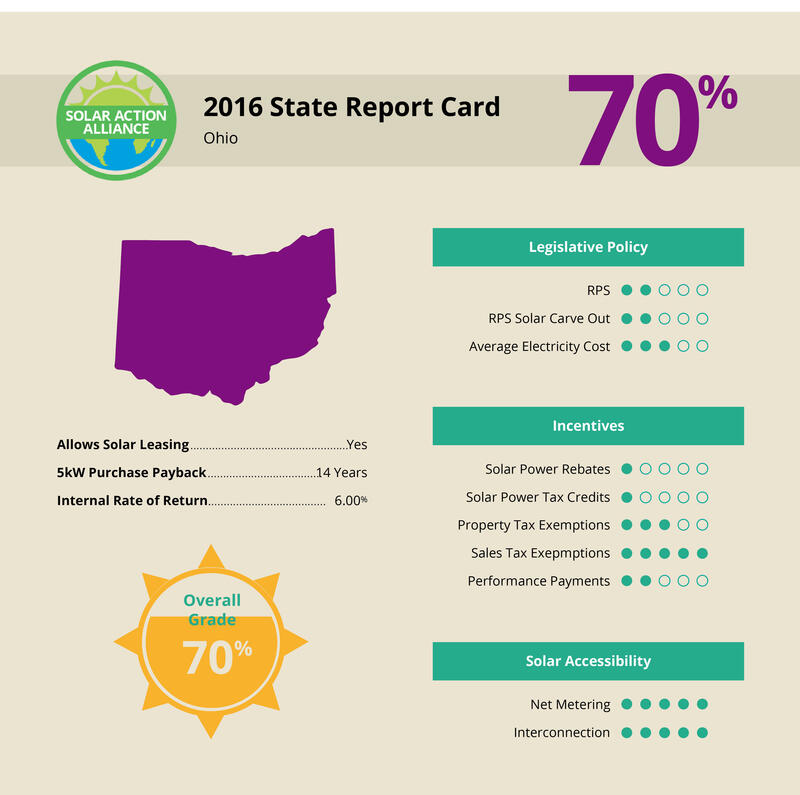 Overall, Ohio is middle-of-the-road in solar incentives, with some room to grow.